Because we step into our homes every single day of our lives, it’s often easy to take what we have for granted. To you, it’s somewhere for you to rest your head or somewhere for you to make your dinner, but when you really think about the steps that went into making your house, you might be amazed to know that the construction was not as simple as making a LEGO house. Every square inch of your house was mapped out, every single brick was meticulously placed, and it has been filled with furniture that matches your taste. Despite the effort that has gone into making these houses, many people still spend their lives paying out hundreds of thousands of dollars to fill their homes with luxuries they believe they need, and furniture to fill their huge houses. But what if we told you that it didn’t have to be that way? Jeremy and Ryan first started their careers in banking and the mortgage world. They both knew how expensive it was, for the average American family, to buy a home. 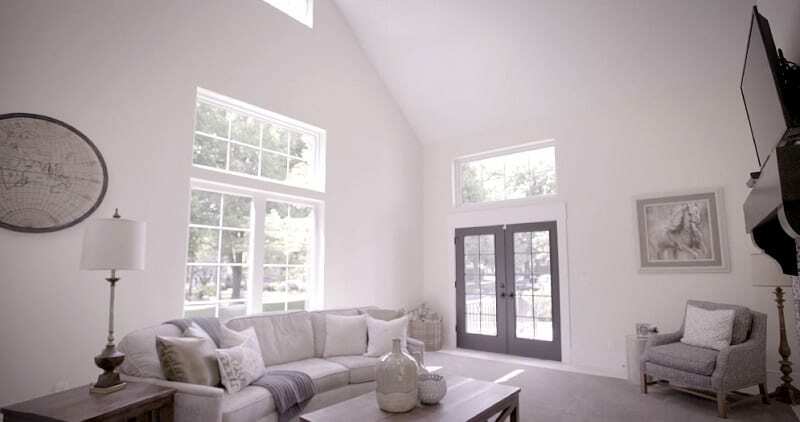 Over the last decade, the pair designed, built and remodeled homes, but there was a new idea brewing at the back of their minds. Knowing how difficult it was for Americans to buy new houses, they came up with an idea. 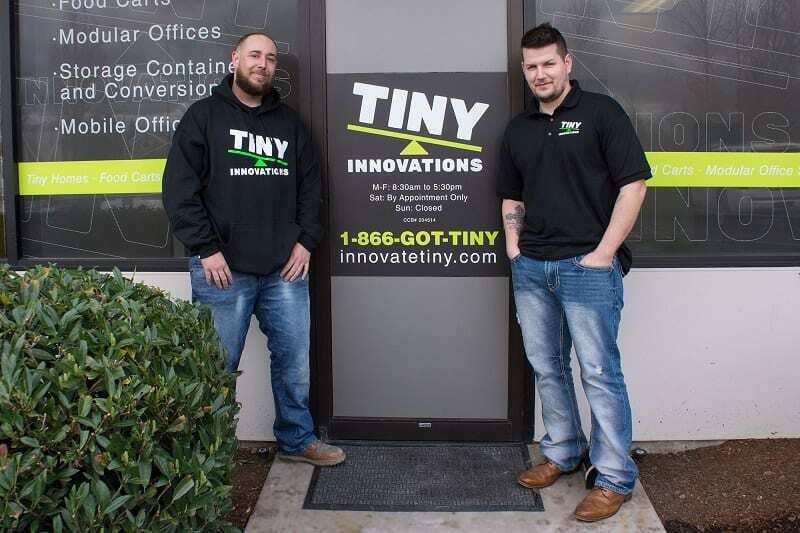 Eventually, Jeremy and Ryan came up with Tiny Innovations – a business specializing in tiny, affordable houses. The pair saw a real niche in the tiny house market, knowing that they wanted to be able to build these properties differently. 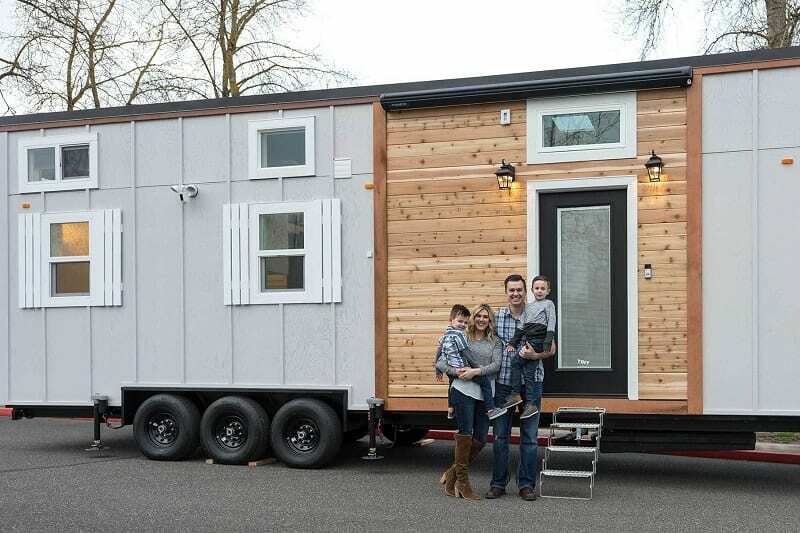 Although tiny houses have been around for a while, Ryan and Jeremy wanted to use their experience to build small properties that would stand the test of time – and provide all of the luxuries a family could ever want. Before they set up Tiny Innovations, Jeremy and Ryan had been working on building and remodeling projects for multi-million dollar mansions. They saw all of the luxury and beauty that went into these huge homes and wondered how they could make that more affordable. 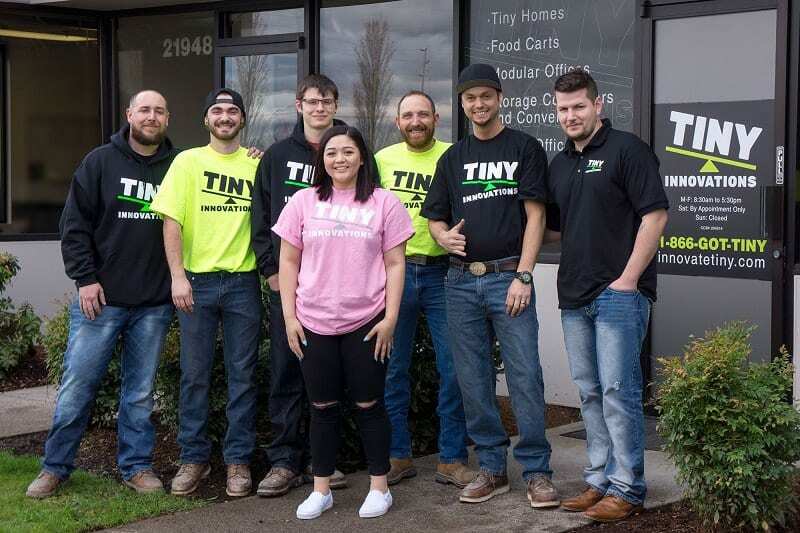 That experience, combined with their time in the banking and mortgage industry, led them to create their new business venture – Tiny Innovations. However, these guys aren’t just doing it as a hobby and building tiny houses in their back garden. They’re using their wealth of experience to build something that is truly exceptional. Their first project was named the Catalina. 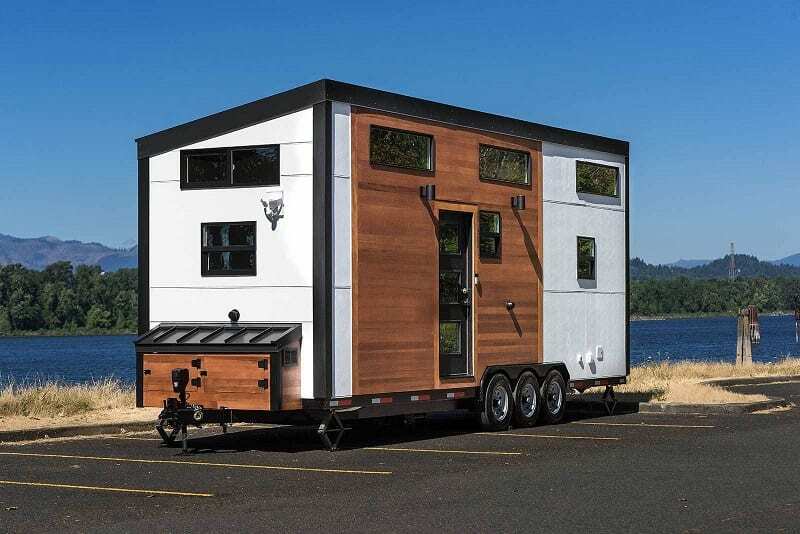 A tiny house on wheels that would enable people to move from place to place, while taking their whole home with them. While this may sound like an RV, the reality is far from it. Jeremy and Ryan wanted to create something that was small and affordable, but also provided plenty of luxury and living space. 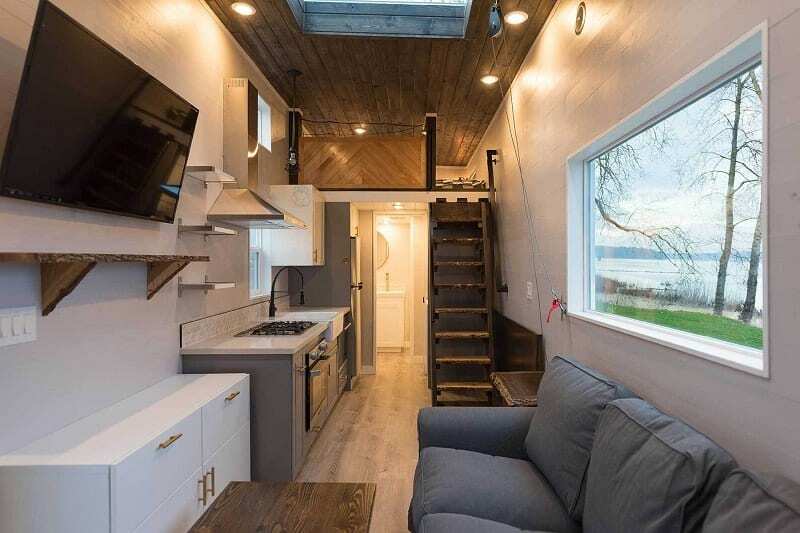 This new home on wheels was ready to be launched to the world, but what would the world think? 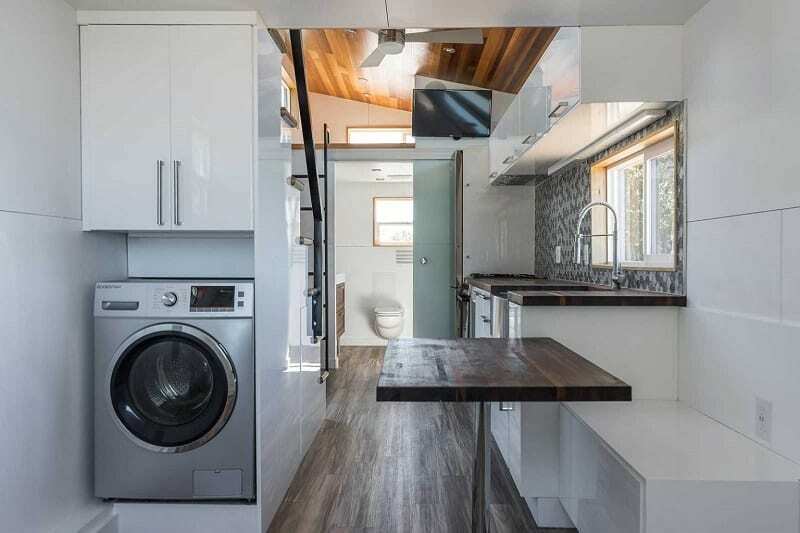 The first thing you will notice about Tiny Innovations’ first tiny house, is that it really is tiny. 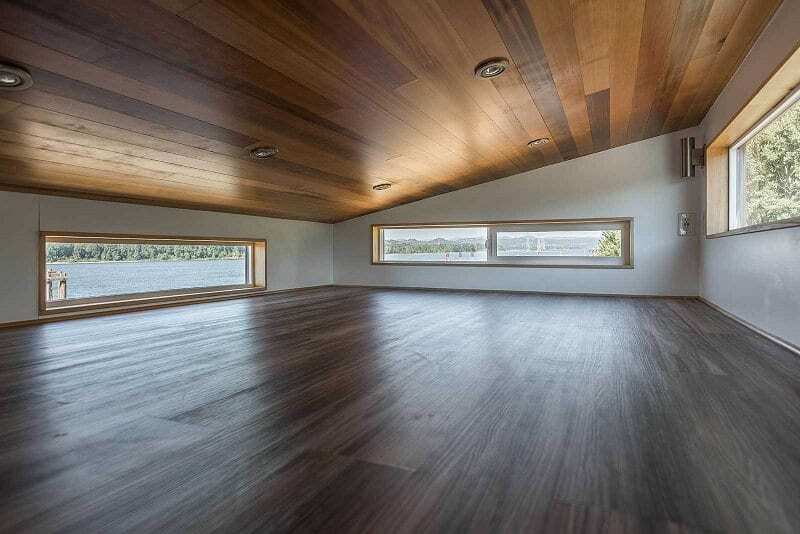 Their flagship property comes in three different sizes – 24’, 28’ or 32’. From the outside, even the biggest model can look minuscule. When you see it, you would be fooled into thinking that there is no way the inside could be big enough to live in. And even if you could live in it, is that really luxury living? However, step inside the Catalina’s door, and you’ll be filled with awe. 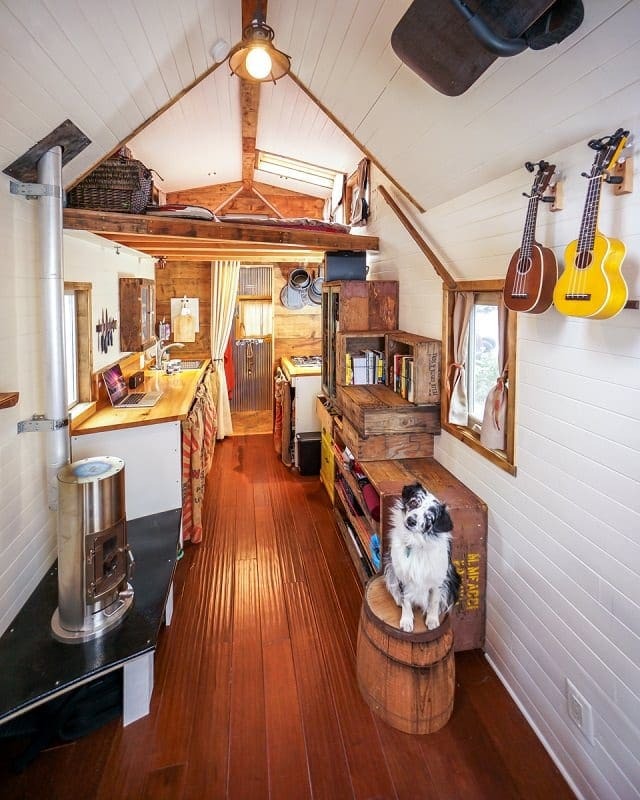 Inside the tiny house is completely different to what you might expect. The team has ensured that every luxury fitting and fixture has been well thought out, turning the Catalina into a tiny palace. Each tiny home has been designed as if it was one of the mansions Jeremy and Ryan would work on, just much smaller. This means that anyone living in the Catalina would be able to enjoy their own little slice of heaven, in a compact and affordable trailer. Nothing has been forgotten in this tiny home. Each one comes with a fully fitted kitchen, complete with appliances and beautiful countertops. The bathroom is, again, luxurious with a modern shower and toilet. Climb the ladder, and you’ll find yourself in the sleeping loft, which has luxury vinyl tile flooring and energy efficient windows. 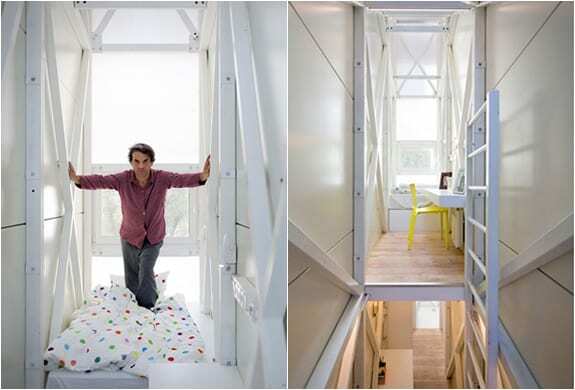 Everything you could possibly need can be found in this tiny, luxurious house. All you’d need to do is move your stuff in. Although, you might want to de-clutter your stuff first. While many of the beautiful fixtures and fittings come as standard, there are also plenty of extra options you can choose to have added to your new tiny home. 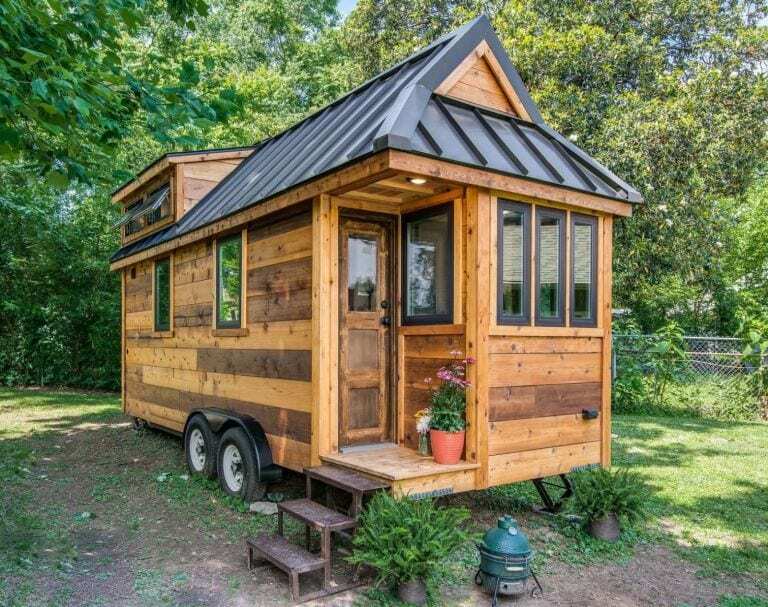 From picking the color of the roof, through to deciding between brushed nickel or chrome finishes on the hardware, you can totally customize your tiny house. And if there isn’t an option you want, you can simply ask Jeremy and Ryan to add it. The guys love customizing their tiny homes, to better suit your needs. With all of this luxury, you may be expecting an eye-watering price tag, right? Wrong. 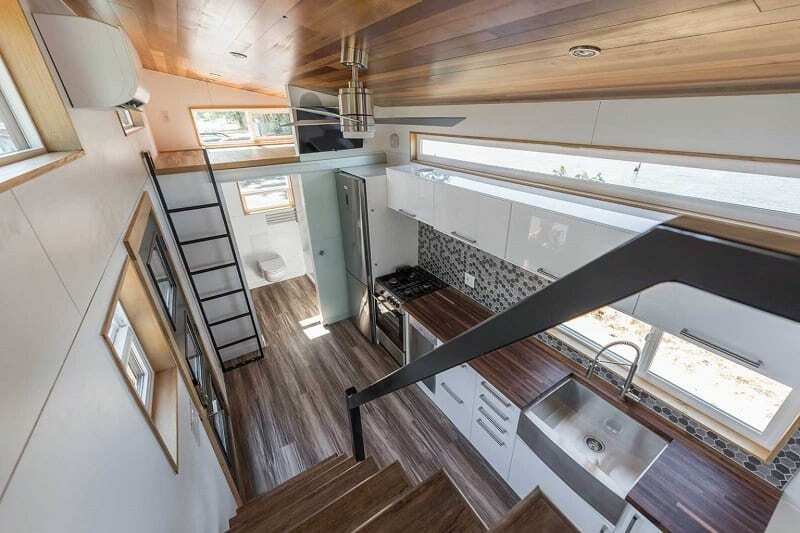 The Catalina tiny home starts from $65,000 for the basic 24’ model. And, as the house is on wheels, you could then live anywhere in the country for that price. There are also financing options available with Tiny Innovations, so you wouldn’t necessarily have to apply for a mortgage to be able to afford one! According to Jeremy and Ryan, 68% of tiny homeowners have no mortgage. 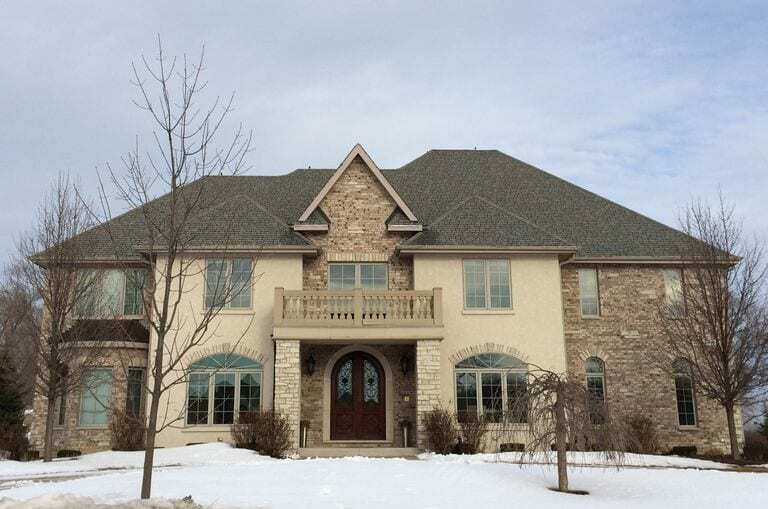 Imagine having a luxurious home, without the worry of paying a mortgage each month. If you think that Catalina seems a bit small for you, then the boys have worked hard to create a more family-friendly option recently. The Cayman is a tiny home for the whole family that comes in two and three bedroom options. If you’re worried about giving the children space to grow, then their bigger tiny house is probably better for you. Starting at $94,000 the Cayman comes in 34’, 38’ and 45’ options to fit in the whole family. Yet again, Jeremy and Ryan have thought of everything when it comes to their bigger tiny house model. Along with adding in extra space to fit in a whole family, the Cayman comes with all of the luxuries you would expect from Tiny Innovations. 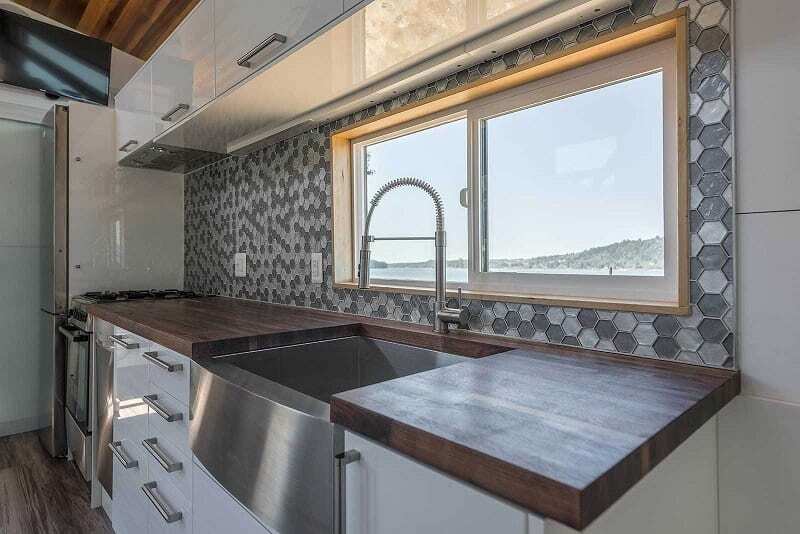 And, if you want a little bit extra, then you can customize to include options like granite kitchen sinks, beds with built-in couches, skylights, better appliances, flat-screen televisions, and a whole lot more. The team are now working on their third Tiny House, the Oasis. While much of the development for this third property has been kept under wraps, we do know one thing. 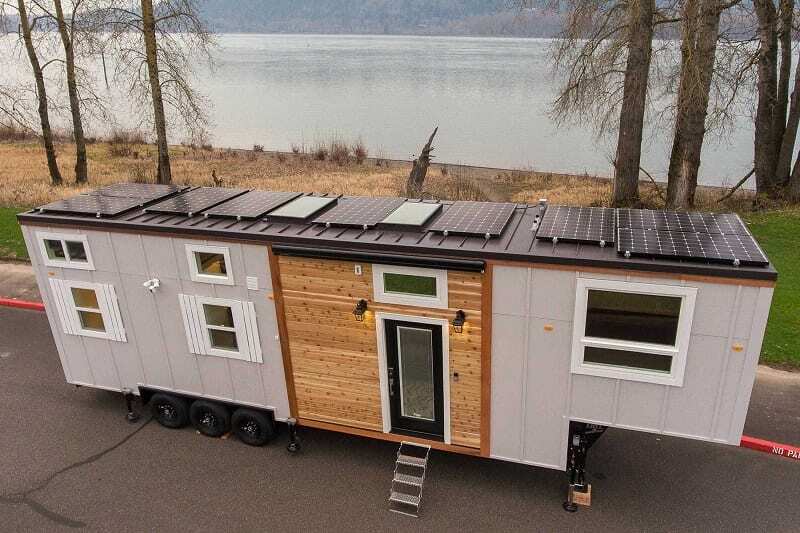 The Oasis will be designed for those who want to keep moving with their tiny house. 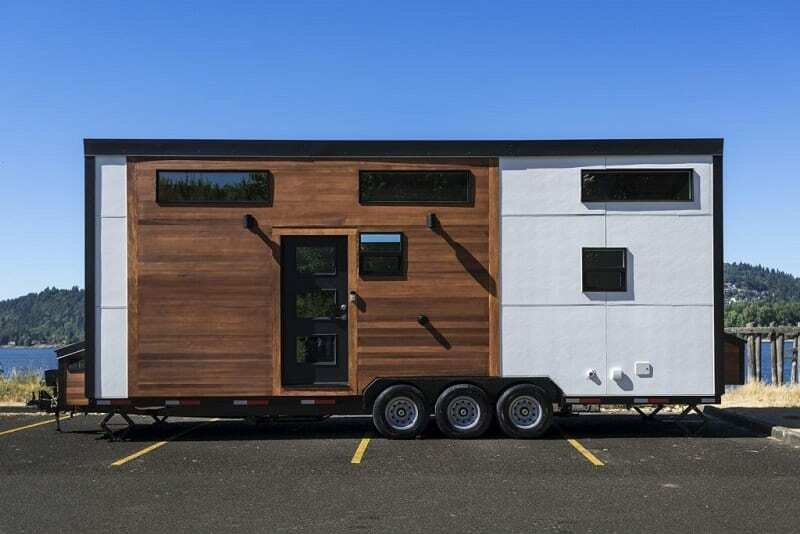 According to Tiny Innovations, this new home will be their “travel trailer” for those who want to enjoy “tiny living on the go.” While the other tiny houses do have wheels, this one will be for those wanderlusters who want to keep on moving! The tiny house movement is by no means a new thing. Back in the ‘70s and ‘80s, several pioneering books were published surrounding smaller houses. This inspired several builders and architects to try their hand at building something tiny and affordable. As the average size of a single-family home grew in America, developers looked at how they could bring this back down. Famous tiny house creators include Gregory Kloehn who builds tiny houses out of recycled materials for the homeless and Marianne Cusato who came up with the idea of Katrina Cottages after Hurricane Katrina. 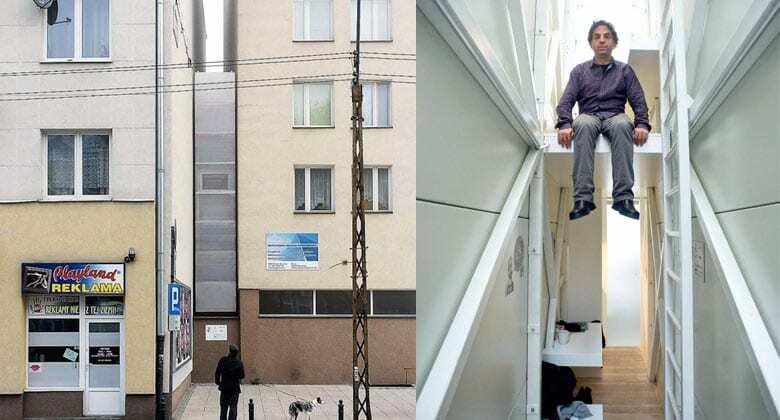 One of the most famous tiny houses in the world can actually be found in Poland and is considered a true masterpiece and art installation. Designed by Jakub Szczesny, who came up with the concept in 2009, many thought it would be impossible to fill in a narrow gap between two existing structures. His plan was to create a home that was just four feet wide at its widest point. However, he finally succeeded, and the results were mindblowing. Jakub Szczesny quickly found his project all over the news, as people couldn’t quite believe how beautiful he had made his skinny house look. Jakub worked alongside writer Etgar Keret – which is where the house got its name – to create something that would be perfect for a writer. Everything was custom built to give traveling writers’ the space and privacy they needed to write, without wanting to spend too much time there and become a hermit. After all, there’s only so long you can stay in a 4-foot wide house. 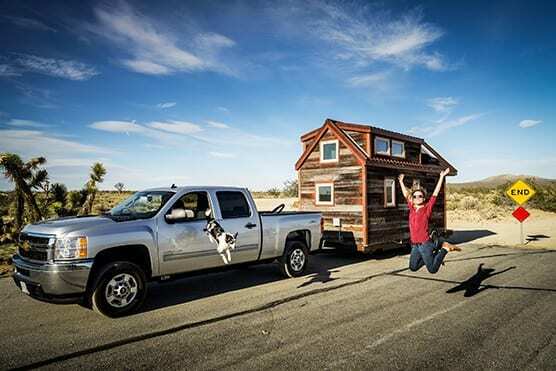 Another famous tiny house belongs to Jenna from the blog Tiny House Giant Journey. Nicknamed “Tiny House Girl” Jenna has been working in a job she hated until 2013. She decided to pack up her old life, built her very own tiny house, and decided to travel the world. Her Tiny House blog has been featured in major media outlets such as HGTV, Huffington Post, USA Today, Bored Panda, and many more. In her first year, between 2014 and 2015, Jenna managed to rack up a whopping 25,000 miles visiting more than 30 U.S. states and several provinces in Canada. Jenna wanted to “travel big and live tiny” according to her mantra and embraces all of the alternative lifestyles of the people she has met along the way. Millions of people now keep up with Jenna and her travels, as she advises her readers how to live small and put more value in your time and experiences than in material things.